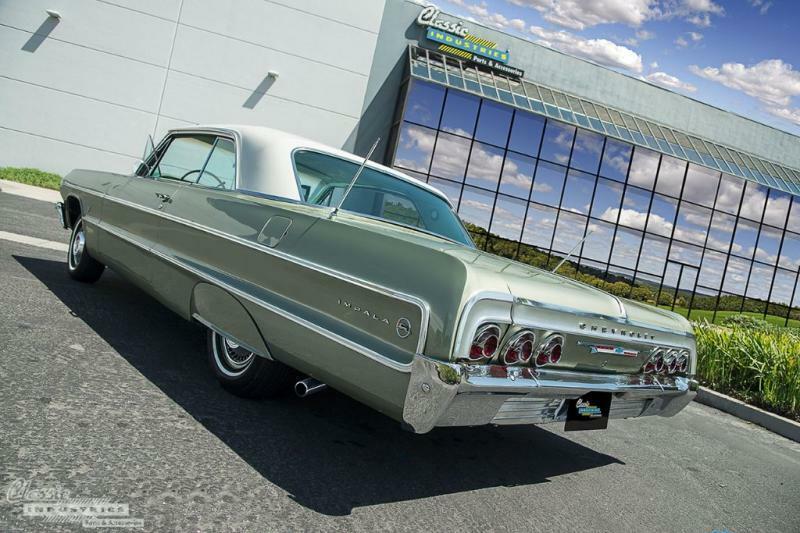 Jonathan Pompey, of Compton, California, vividly remembers the first time he laid eyes on this 1964 Impala. It was November of 2004, and he was walking his dog down the street when he spotted it. The Impala was in rough shape, and parked at the curb in front of a house. Right then and there, Jonathan approached the owner and asked to buy it. Unfortunately, it wasn't for sale. 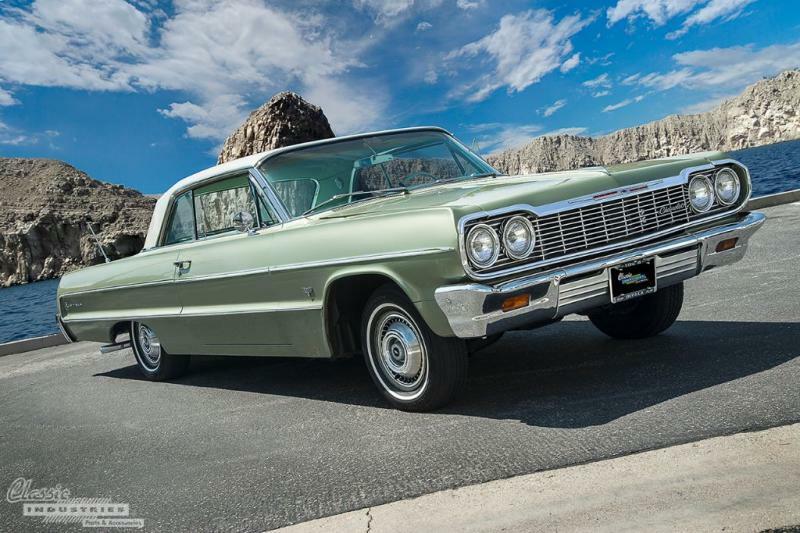 This '64 Impala is powered by a 350ci small-block, which Jonathan bored .040 over stock. He also did some mild work to the head, and paired it with a TH-700R4 transmission with a performance shift kit. 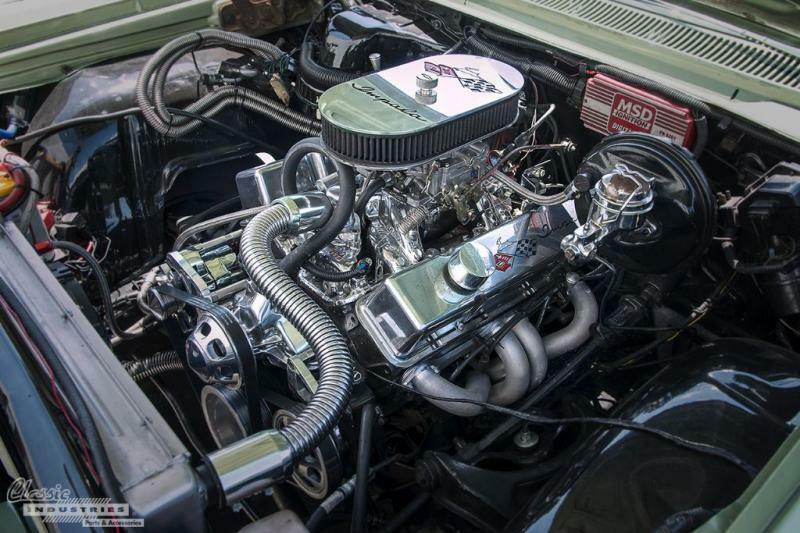 Billet pulleys, ceramic-coated headers, and lots of chrome give this engine a show-ready look. Very nicely done. I like it without fender skirts; add some SS Hubcaps, and motor on! Edited by G. Baker on 12-17-18 01:34 PM. Reason for edit: No reason given.